When it comes to beauty, I’m a counter brand taste with a penchant for drugstore too. 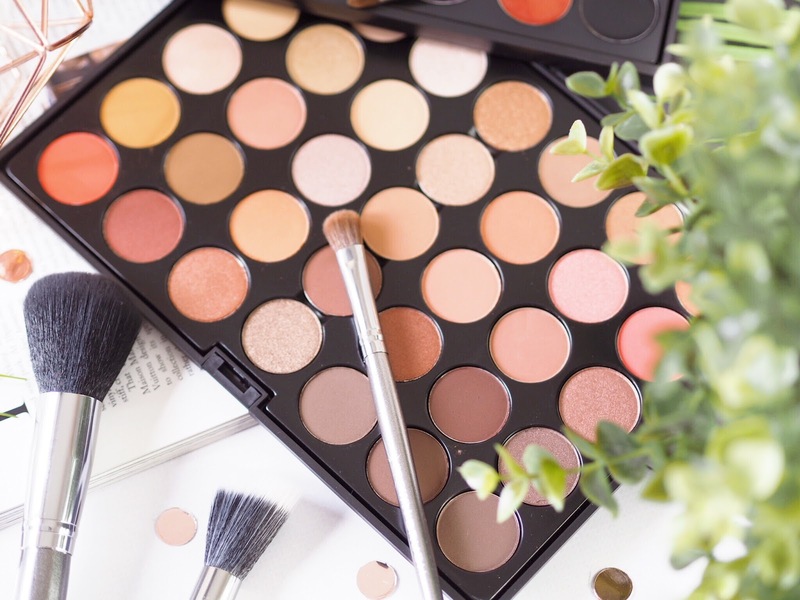 Basically I love all cosmetics – from the very high end products to the drugstore staples constantly bursting onto the market. 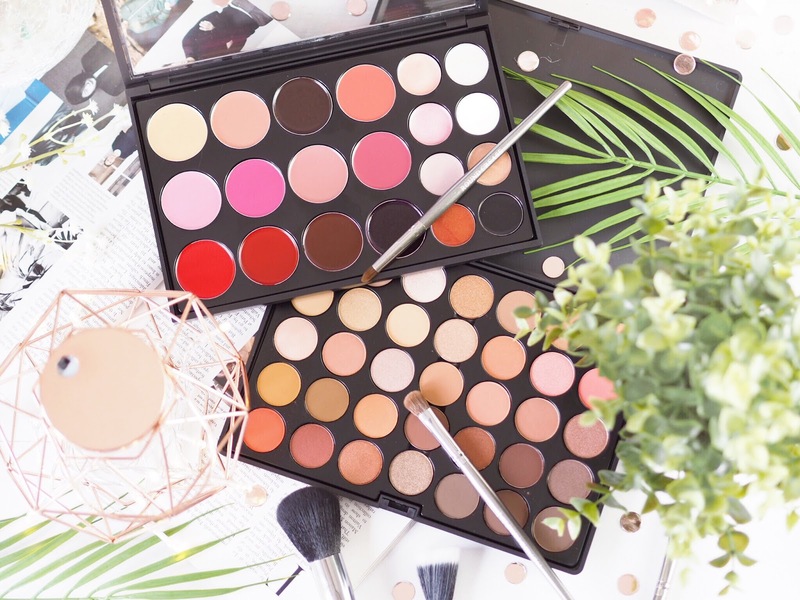 No more are the high end brands ruling the roost, drugstore brands are producing goodies with that x-factor we make-up addicts love – but at a fraction of the price. Suddenly they’re on an even par and I love it, it’s like there’s a competition where there wasn’t really a competition at all before. 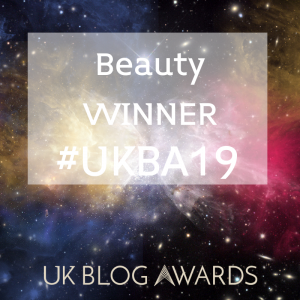 But if you haven’t heard much about Crown Brush, let me spell it out to you – they’re more than a cosmetic brand, they’re a make-up and beauty manufacturer. So the products you get are the ones fresh from manufacturing – and so a fraction of the price you’d expect to pay. Crown Brush make quality affordable and their selection of choice is crazy good. You can rely on them for the level of quality you’d expect to find from some of the very best in the biz – without the expected price tag. 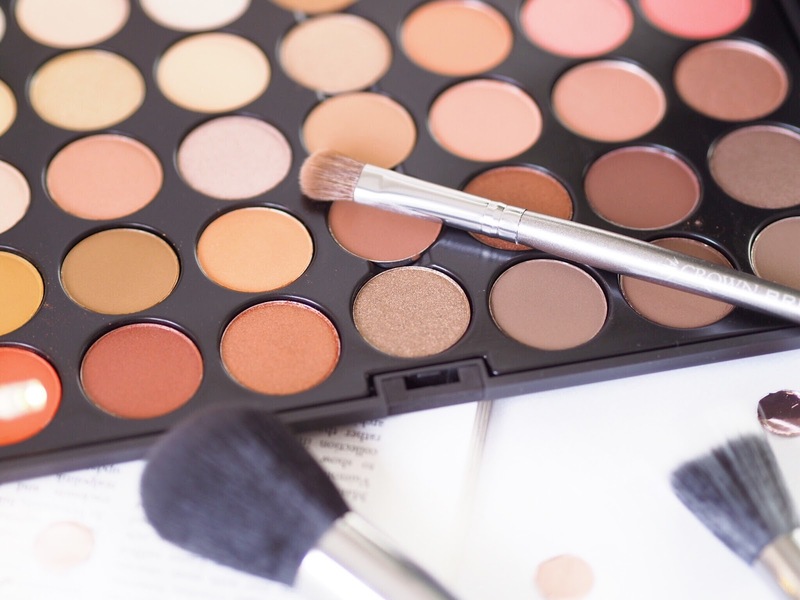 It’s no surprise that their brushes and products are used by professionals the world over. Rose Gold is everywhere right now, as I’ve said many times. And this palette has 35 eyeshadows on the rose gold spectrum. Covering gold, brown, orange, pink and red tones – there are countless looks that you can create with it. 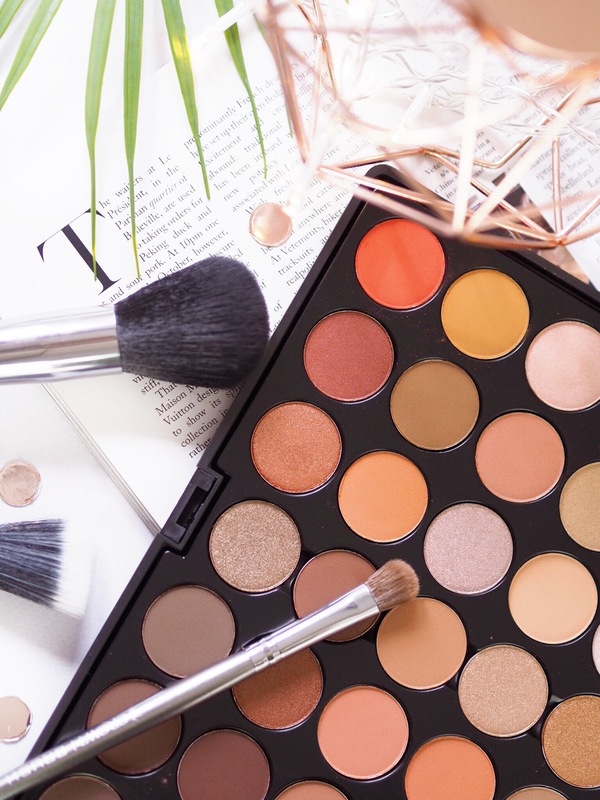 The shadows themselves are a mix of matte, shimmer and satin/glitter finishes, so you’ve got everything you need for your eyes in one palette. 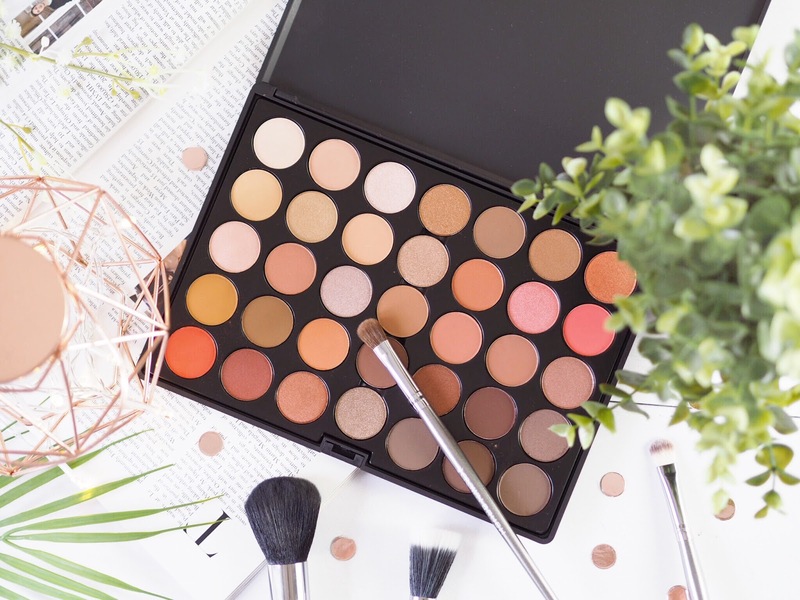 From soft natural warm tones for your crease, to dark browns for the transition and pops of glitter with a high payoff for the lid – this palette will have you absolutely covered no matter what style you’re going for. 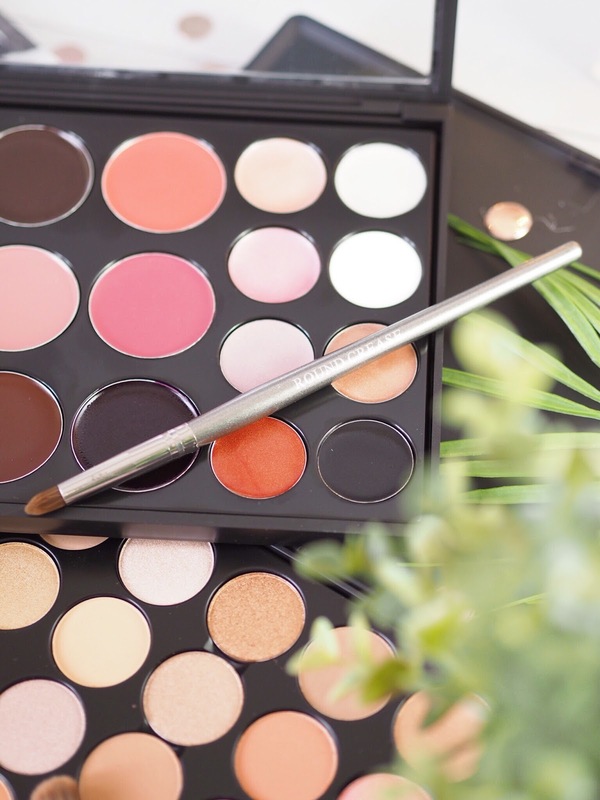 What I rate about this palette is the quality of the shadows: the mattes have a good payoff with one swipe because they’re blendable and creamy enough to hold pigmentation well. Obviously the shimmer finishes have a higher payoff – they always do, in fact, with these shimmers it’s blinding. 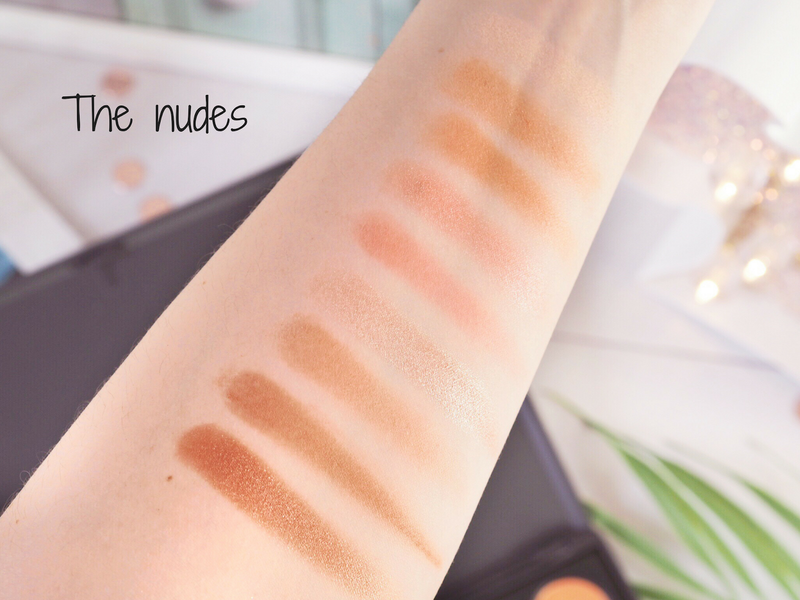 Some I swatched literally blew me away with how high performance they were! 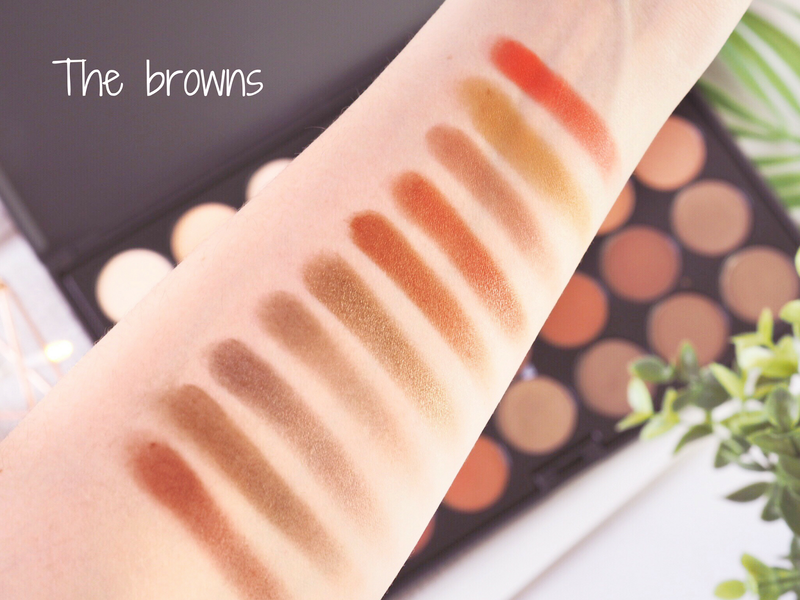 The lighter shades with a matte finish are great for the brow bone and very subtle so you really do have an amazing amount of choice and variation from this one palette. 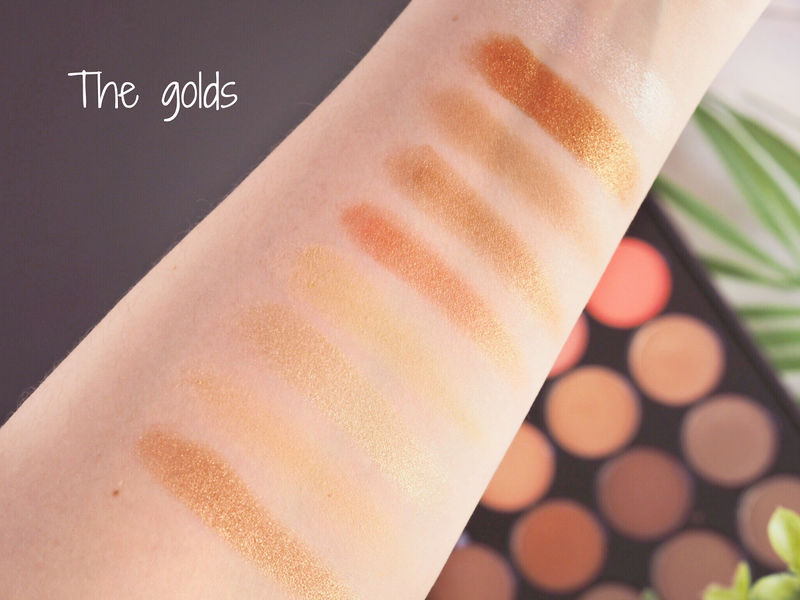 You won’t need to reach for any other colours because this palette has them all. Oh and say we just talk about the price briefly…IT’S ONLY £22.99! That’s 65p per shadow. You’re welcome. Get it here. 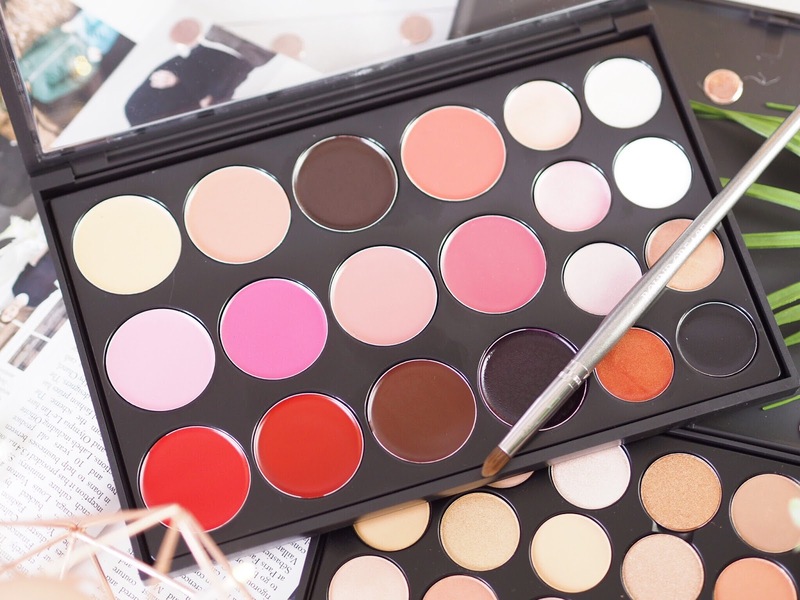 When it comes to lips, I’ve been eyeing up various pro lip palettes for a while, but this one is by far the biggest in size and the best value of the ones I’ve been looking at! 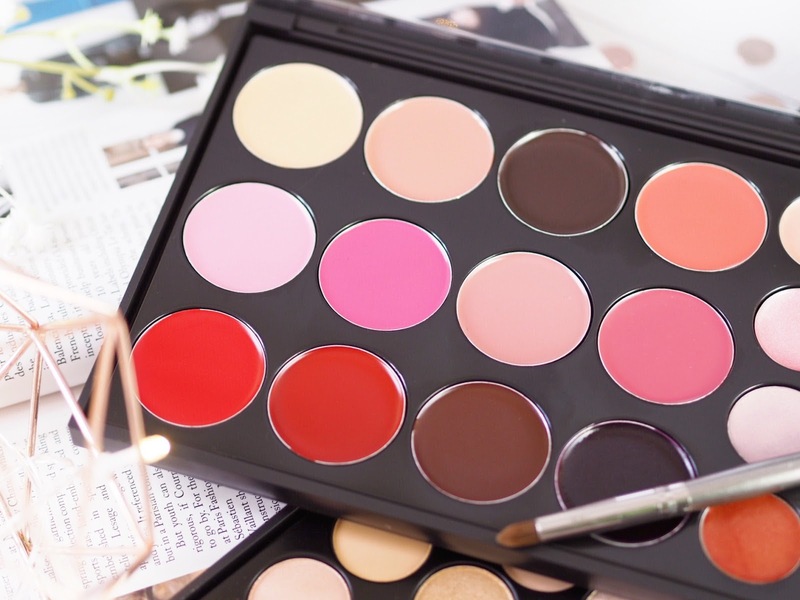 The palette itself contains 12 lipsticks and 8 glosses. The lipsticks have a satin finish to them, so if you’re looking for juicy looking lips then this is the palette for you. What I like about this palette is the quality of the lipsticks. I used to associate lip palettes with those naff play ones you used to get as a teenager at Christmas, but this one is as far removed from those as you can get. 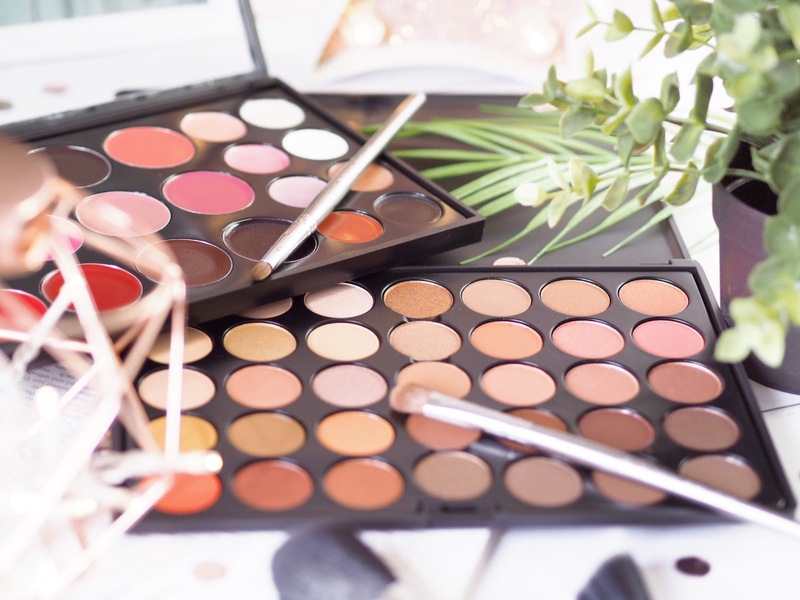 The lipsticks are thick and creamy and spread like butter, which is a great texture to work with and the glosses are creamy to work with too. Obviously the best thing about having this palette is that you get complete control over your lip colour. It’s so versatile! And because there’s very dark shades and much lighter shades, you really can perfect your chosen lip colour to be exactly what you want. Not only that but the colour payoff of the overall product is really high, it’s a great way of giving yourself a pro lip colour. 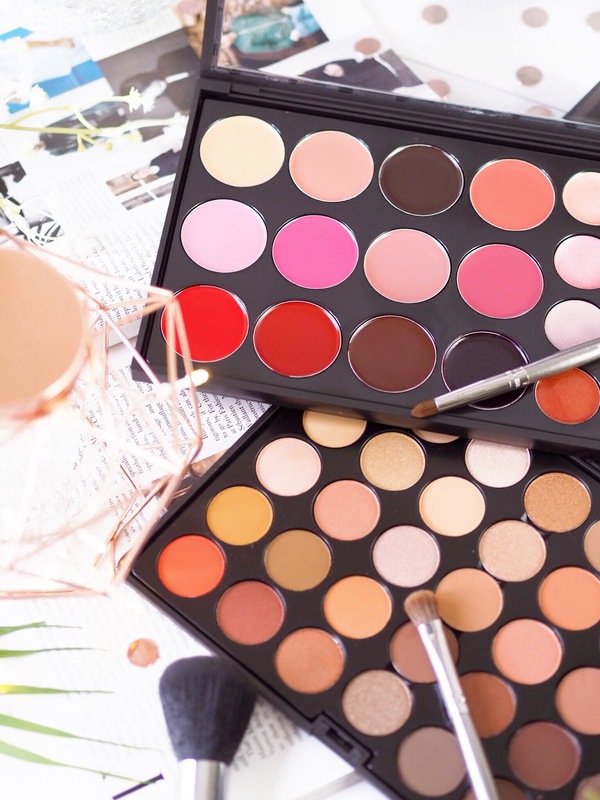 Why buy one or two lipsticks from a brand which would cost the same, when you can get this palette and create countless shades and colours? You’ll not need to buy another lipstick again for a while – that’s for sure! Get the Pro Lip & Gloss Collection here. Crown Brush are most well known for their brushes. Used the world over by MUA’s and pro’s, their brushes are absolutely sworn by. In fact, several make-up artist friends of mine swear by their brushes for the tv work etc. 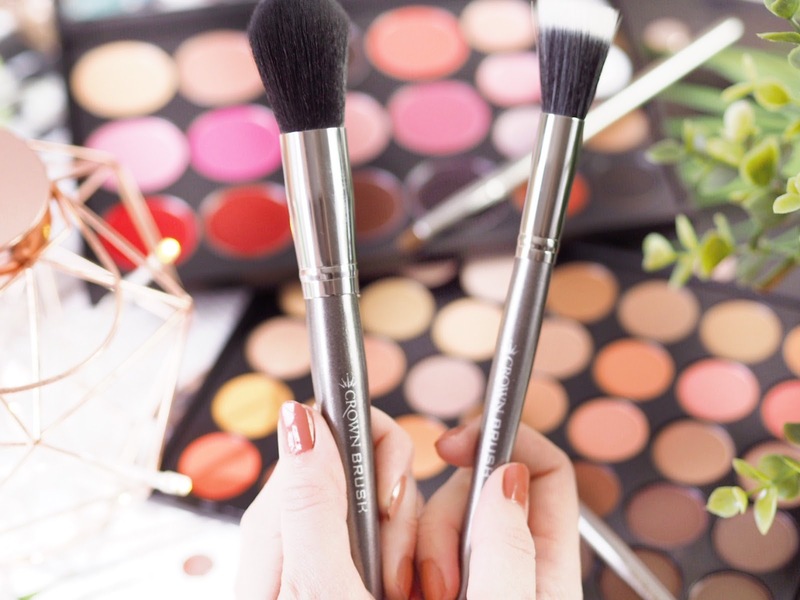 So naturally, I had to tell you about their brushes didn’t I?! I’ve been loving the 7 Piece Gunmetal Brush Set because it’s a complete set that comes in a very handy travel pouch. What’s more, is that as far as brushes go, this set has a good selection of all over and multi-purpose brushes. 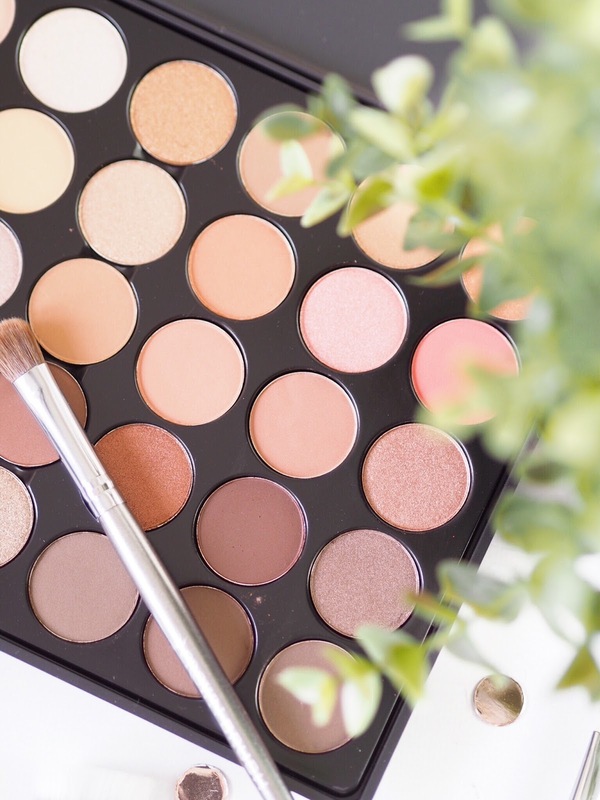 There’s face brushes and eye brushes within the set, but I know I use the concealer brush for applying shadow to my lids – so you can mix up what you use each brush for. 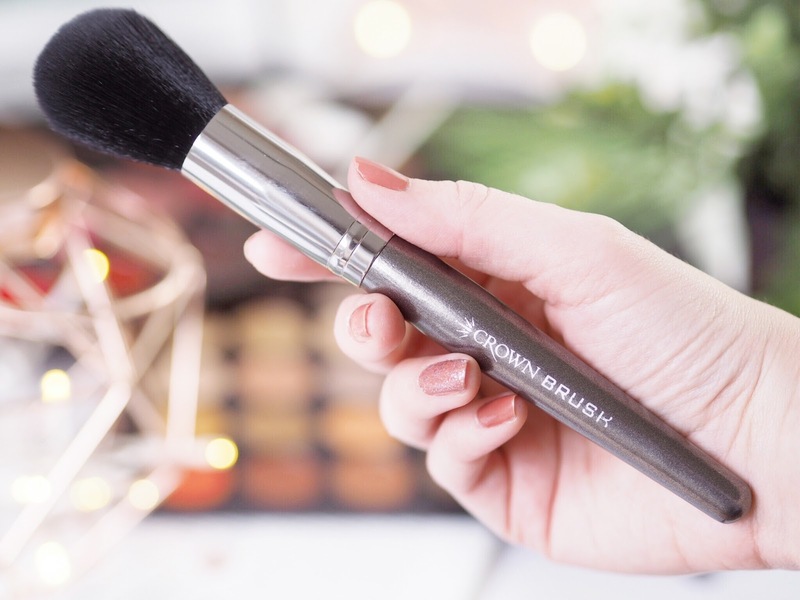 The brushes themselves are really easy to use – they’re no too heavy in the handle (which I hate in brushes) and they apply make-up with precision. I find the bristles are soft and delicate to the skin but firm enough to give good coverage of you chosen product. It’s no always easy to get the right balance with brushes, but Crown Brush have achieved it with every single one in this set. Plus it’s not just sets they do, they sell individual brushes too, for really affordable prices. You can replace your old brushes with these for less and notice a big difference in application. For me, Crown Brush are a brand that produce top quality products across both categories: make-up and tools. Their products are very clearly manufactured for pros and distribution, with high performance and quality. Which is why I recommend them to a lot of my friends. If you want something to do a good job, then you need to make sure you check out Crown Brush because I can guarantee they’ll have what you’re after for less – without scraping on the quality. 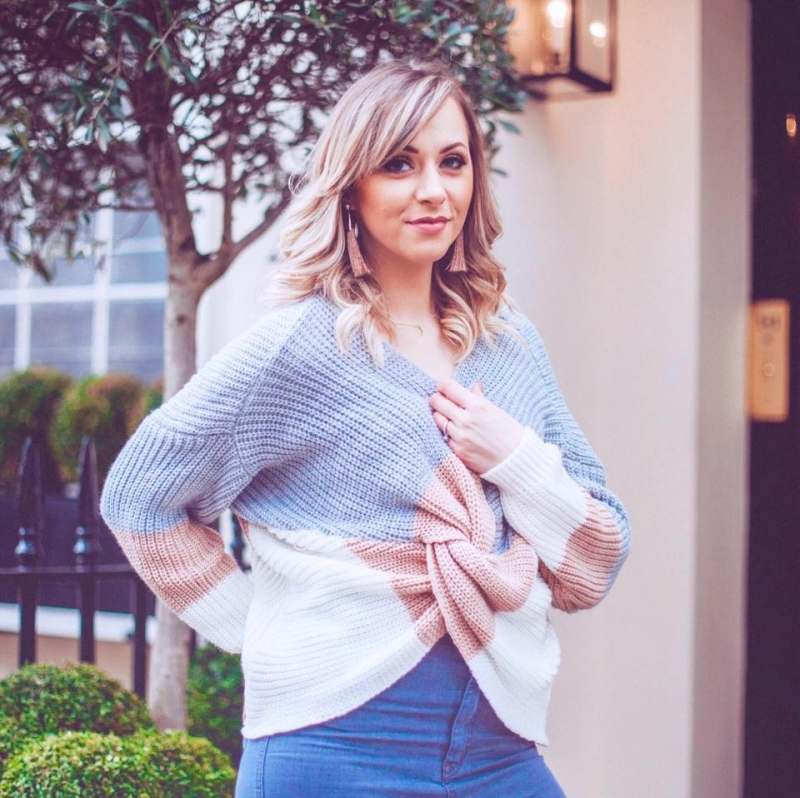 Here’s to seeing lots more on the blog from Crown Brush in 2018! **This is a sponsored post in collaboration with Crown Brush but as ever all opinions are entirely my own. Please refer to my Disclaimer page for more details.